It has been a beautiful loving week. 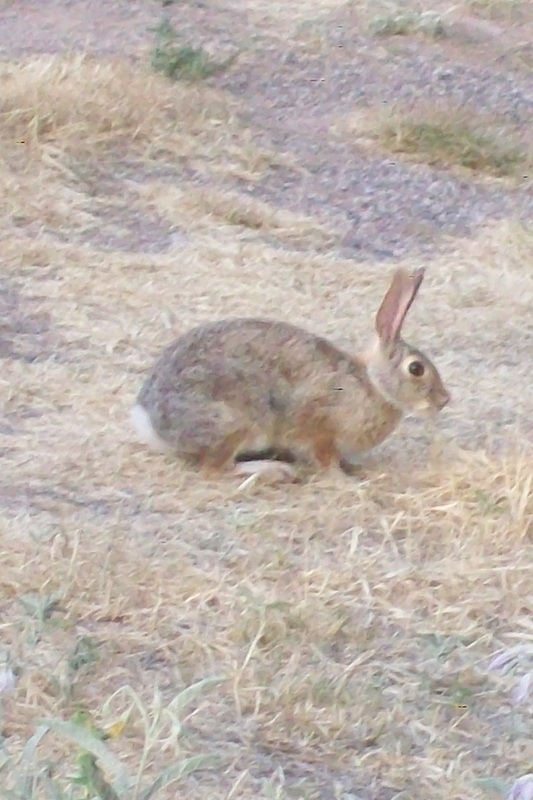 I got a visit from a dear friend from Canada. We love to sit in the garden and catch up. She always brings me a four direction medicine package. Not only does it look beautiful but it smells awesome. She picks her own sweet grass and makes the sweetest bundles. I won’t be sharing pictures of the gifts I received, I just want to share the goodness of true friendship with sister friends. Just being real, real to who we are along our journeys. Not perfect, just real, honest…. I also received a beautiful package from a very dear sister friend with one of my favorite dried flowers (roses) . Not only were the flowers beautiful but the glass canning jar added to the beauty of the whole package. My sweet sister friend who always knows what to say. 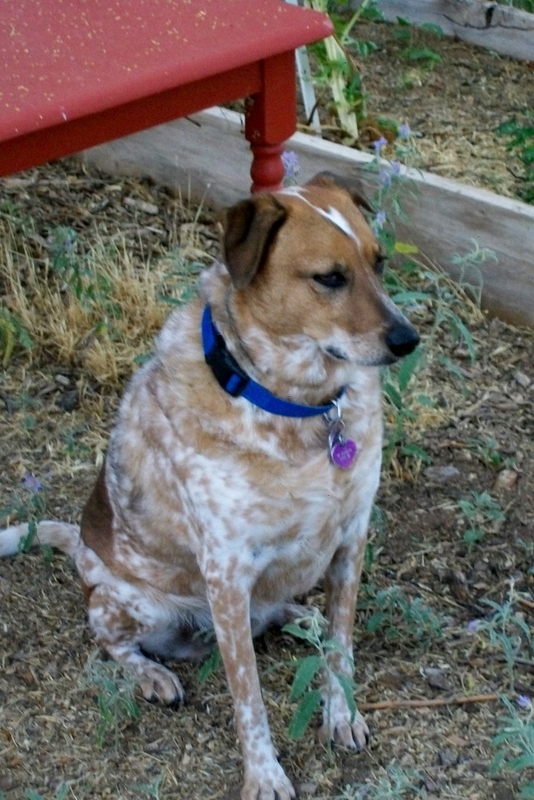 She has supported me kindly with her heart for several years now. We even got to visit each other this past year. I don’t have large groups of friends but the ones I have are really beautiful people. I am so lucky to have found them. I wanted to write about this today because I was so deeply touched by the warmth of my friends this week. Life isn’t always easy as we all know. So just a little loving kindness goes a very long way in my world. Isn’t this what we all truly want and need in our lives? To love and be loved in an authentic way. Just being yourself, not holding anything up. Respected for who we are. I am feeling grateful for this! One of my favorite tea blends. Hibiscus , oatstraw , and green tea. This tastes so good and is good for you if you get along with the herbs. I pull the green tea out after a few minutes and let the hibiscus and oatstraw sit for hours in the glass canning jar , pulling out all the vitamins , minerals and good stuff. Sometimes I add a little piece of ginger too. Good Morning! It’s Wednesday morning and sun hasn’t came up yet. I thought I would sit down and write something. I would love to start writing here more and sharing the things that make my life a little better in my days. Of course my family is everything to me. God, Great Spirit , the universe that lives inside me and teaches me each day how to overcome the hardships that are in life is my “go to “when my mind is heavy with sorrow. You see when the people are suffering I feel the suffering too. I have to say I have felt the suffering lately. I turn to my spiritual teachers . I guess you could say I have no one religion I have love and compassion, love and compassion is what I learned from Christ and Buddha. They live in my heart. I have been taught to be kind and have compassion. To be still and gentle. When the world is upside down it is very hard to stay in a place where love and compassion are strong. But the more you practice the more easy you stay or come back to it. My life has been full of moments to practice letting go and coming back. When I sit quietly and talk to them the holy ones, the holy spirit, they come and show me the way of peace and gentleness. I am so grateful! That doesn’t mean that my life is easy. But I have learned through the most difficult experiences how to go deeper. How to find the place to be so I can be at peace. I had to bury two children this time around on this earth. It was a long time ago but I really had to find my way. It felt as if the rug was pulled out from under me. I was groundless. My spirit went directly to god, the great spirit, the universe and I prayed and cried and felt what I felt each day. There was no escape from the deepest pain I had ever felt in my life. As time passed I found my way. That doesn’t mean that I don’t miss them so very much but I have come to accept that life is life and things happen that we can’t control. I am very grateful for the living teachers that are on this world right now. The Dalai Lama , Pema Chodron , Ajahn Brahn , and many more. I am also so very grateful to the ones who came , learned and shared what they learned so long ago. Christ , Buddha, Lao Tsu. I also find refuge in nature. Right in my own backyard. I listen to the birds and find joy when the hummingbirds come to visit. I love when they dance around me as I water the garden. I love animals. My fur baby Rosie is a joy in my life. Mother earth is my refuge. The Great mother nourishes my body , mind and spirit. I love to do my art, beads and leather and am grateful that this is a part of my life. 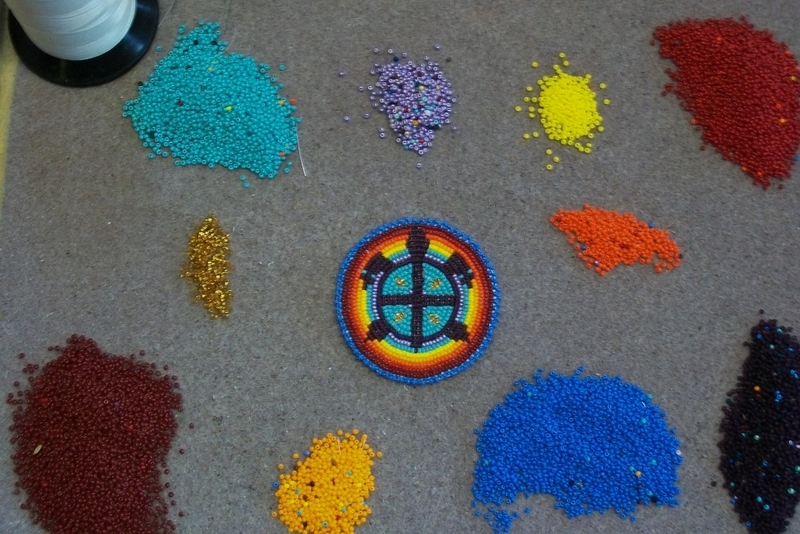 I listen to dharma talks and music as I bead and sew for the world. I have so much to be Grateful for. 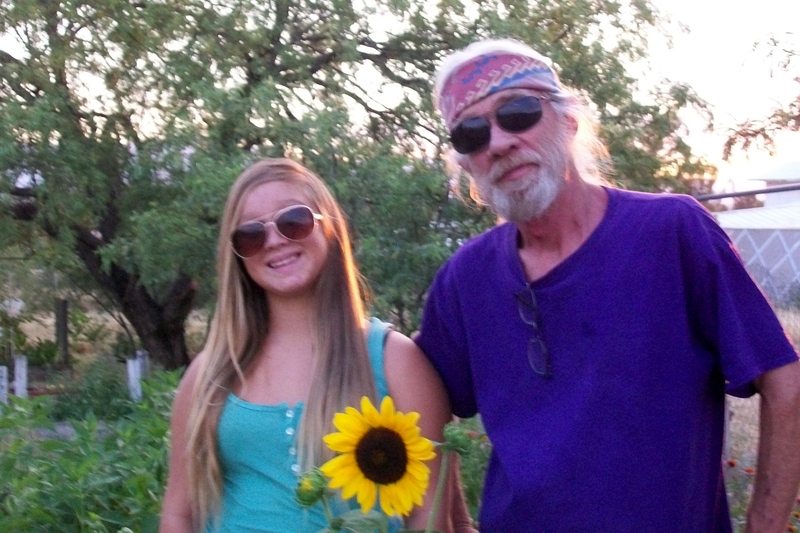 My husband and lifetime partner , my beautiful daughter and 4 Grandchildren. I love and adore all of you. I am so very thankful you are with me always in my heart. My friends, old ones and new ones. Some who are still here and some who have gone. Welcome to 2017! I sincerely hope we all have a very beautiful year! Staying focused on the positive and what we love in our lives. Being close to nature and nourishing our spirits with the love of the universe and giving thanks for how much love and guidance we receive everyday. Living a life in gratitude for what we have and being content with what we have. Letting go of all that hurts us and makes us suffer. Letting go of the thoughts and actions that no longer serve us. May we be free from all this sadness and find ourselves basking in the love of the Great Universe , the love of the divine within us and all around us each day! May we find peace in our hearts for each other and the world, letting go of the hate and prejudice that creates suffering for ourselves and others and does nothing to help the goodness of this beautiful earth we live on. May we come to know nature and the beauty of this earth who gives us so much everyday to be grateful for. The beauty of nature , the rain and the wind , the food we have for our bellies that nourishes us. May we find it in our hearts to be kind to the four legged , winged ones , fishes and all living beings on earth. To find compassion for the journey they are on . May we always try to do better to help heal each other and not hurt each other. Giving of ourselves without expectations. May we come to know our sisters and brothers without feeling like we need to change them but just love and accept them for who they are and where they are on the wheel of life. May we let go of using each other and come to a place of gratitude where we can see where we can help and be kind enough to do so. May we let go and be free knowing no limits and go deeper in love and compassion everyday! May we start this journey for ourselves this day! Everyday something new is being created in my home. 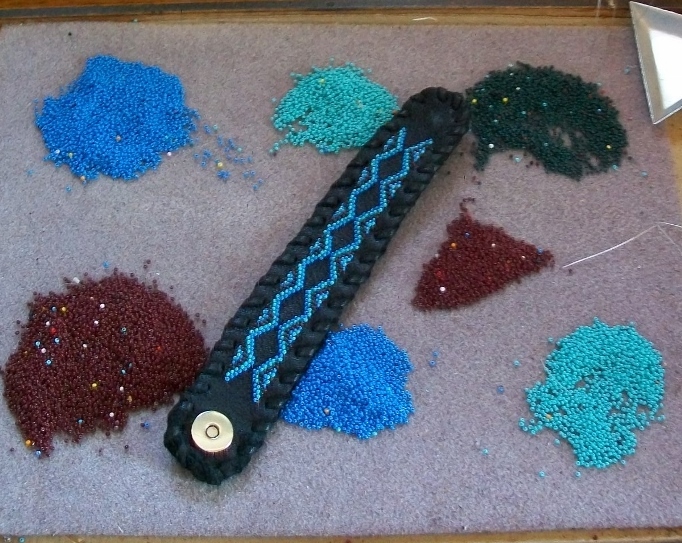 Beadwork , leatherwork, food , and on and on. Life is one big creative process making life interesting. Even when blogging you are creating something that you hope someone somewhere will find interesting. There are so many different peoples and interesting subjects all you can do is follow your heart and post what your interests in life are. Even in the garden there is a creative process that goes on. You never really know how it will all go in a year but the magic of nature is of course magical and honestly it is just part of the journey. In everything we do you can learn, in my opinion. Life is one big teaching like you are in school and you can choose to learn from your day or not. I have heard it called earth school. I can totally relate to that. In all the years I have lived on our beautiful Mother Earth I have done my best to learn from what life gave me that day. It truly is not easy but it makes sense and it helps you understand yourself and who you are. Especially if you can quiet yourself enough to feel what is happening right in the moment. Even that is not that easy to pull off. In the society we are living in everything is speeded up, in a hurry and impatience is on the rise. So I practice being patient although in all honesty some days are easier than others. There are those who really do push you to your limit to say the least.You see when I sat down to blog I had no idea what I was going to write about. This is where it all went so far. Starting with a couple of my bead projects. Our beautiful granddaughter visited us this summer! Oh what a treat for us! 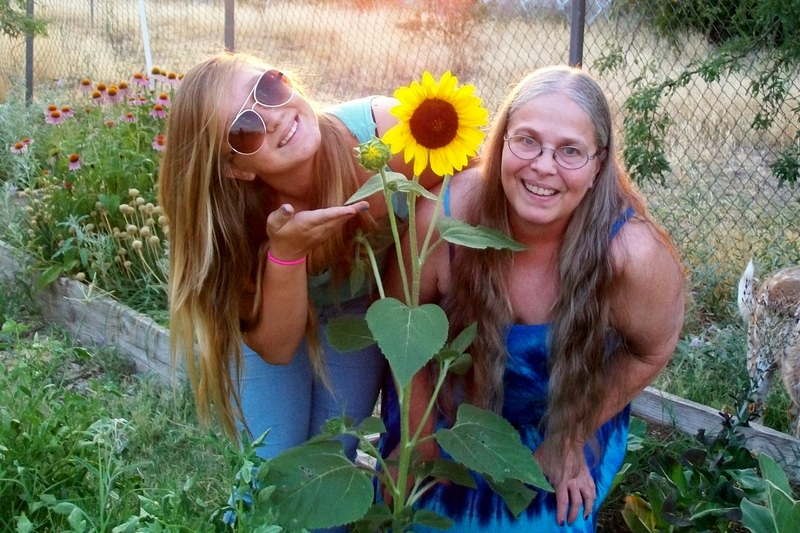 Here we are in the garden with one of our sunflowers. So that’s it for today! In our daily lives there is so very much to be grateful for. Things that bring us joy, laughter and grace. One thing I have learned is do your best to roll with it and let the river move freely with out resistance. One you start to resist stress accumulates. Do the best to steer your boat and stay on track but roll with it.